Men of God are men of substance. Men of God that have the Word rooted in them are men of substance, because that Word is the Bread of life , that Word is the living Word, and that living Word is Jesus Christ. Jesus Christ is the root, and cause of our success. With Jesus we are alive, without Jesus we are nothing but dead men walking. With Jesus we are a somebody, without Jesus we are a nobody. How could Ahimelech the priest be afraid of a young man like David? After all, it must’ve been very rare for a priest to tremble at the sight of a young man. Priests in those days were of much importance, in fact they carried much power and influence. 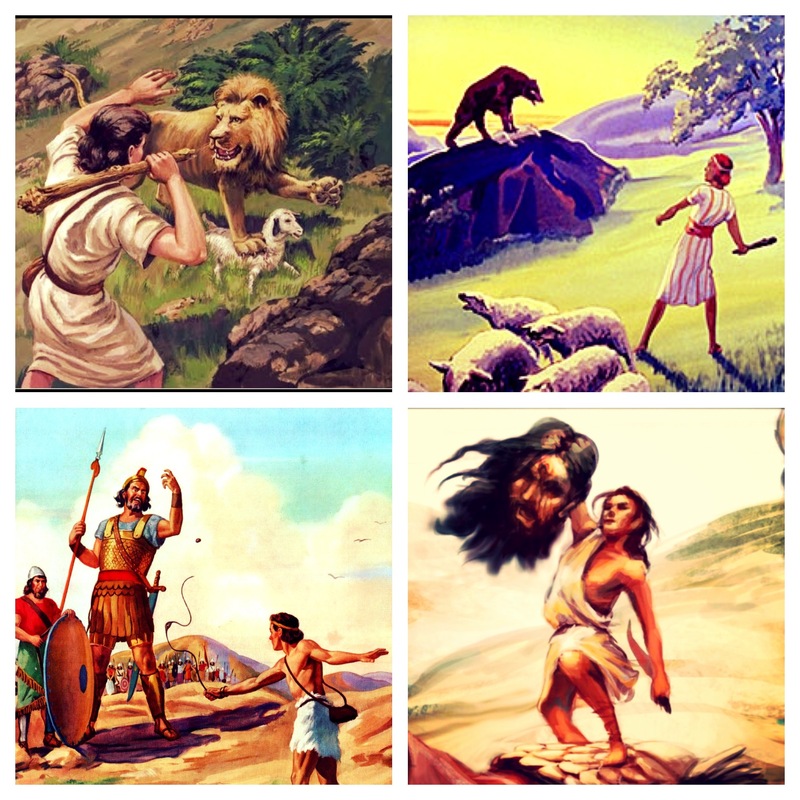 So why was Ahimelech afraid when he met David? David always knew who he was. He was a young and humble shepherd boy, but he was never meek nor was he timid. David being a shepherd boy never stopped him from knowing who he was in God. That is why you must never allow your current situation to dictate your potential destination. David knew his God, therefore he always knew the power, dominion, and authority that he had. Men of substance are as bold as a lion, and they are as humble as a lamb. 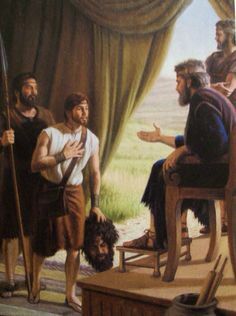 Was this not young David a shepherd boy, when did he begin speaking to a priest with so much authority, and power? I’ll tell you when it all began, it all began by David always knowing who he was in God, and he knew exactly who his God was and is. first faced the lion and the bear. You just need to understand, and know who you are in Christ. Men of substance show themselves approved by their works of faith. We all know faith without works is dead. David needed to prove himself to king Saul, there needed to be evidence that he was more than a conqueror, and he had that. David proved that he had faith strong enough to move mountains. David proved that he had the credentials to defeat the enemy, and he did. Therefore David ran and stood over the Philistine, took his sword and drew it out of its sheath and killed him, and cut off his head with it. Men of substance are about their Father’s business. When a man is about his Father’s business then he is favoured in whatsoever he does, and it really does not matter about his credentials or his past experiences, all that matters is his personal walk with the Lord. A man of substance is favoured by God and men. That is why even a priest trembles in the presence of such a young man like David. A man of substance is a man of faith, and his faith cannot be defeated. A defeated man, is a man that lacks faith. For you are more than what your current situation dictates. King Saul later grew jealous of David, and jealousy is nothing but fear. So Saul eyed David from that day forward. When God chooses you amongst the few the eye of the enemy is on you, but the Hand of God is upon you. Therefore no weapon fashioned or formed against you shall ever prosper. When God’s Hand is upon you, then He shall surely see you through. The enemy fears those that are on fire for the Lord, never lose your fire. King Saul sought to destroy David but The Lord favoured him, and Saul continued to fail. When God says yes no man can say no. King Saul tried to throw David in the deep end, by giving him something that he believed would be too difficult for him to handle, but the Lord God Almighty favoured him. When you are in God’s perfect will He will empower you with wisdom. King Saul grew jealous, he was afraid of David and so he appointed him as captain. Can you see how foolish the enemy is? When the enemy is afraid of you he will challenge you, and that challenge will propel you into greatness! When we are way out of our depth we often fail to activate our faith, and realise that we are in a place of promotion. The enemy will try and test you but the Lord will prove that you are true, and He will promote you. King Saul was foolish he tried to intimidate David, but David knew who he was, he knew the good thing that God had said concerning him, so now David was a captain in the presence of the priest and that is what made the priest tremble. Favour changed the countenance of David, and favour is what caused the enemy to pursue David but the enemy always failed. David was brought before great men and women at a young age, and he was appointed as captain something that king Saul never believed he would be able to do it, but the Lord equipped him to do it. When you are in the perfect will of God when he has chosen you then he shall surely equip you in whatsoever you do. Men of substance are unique, they are set apart, and consecrated. I pray for a generation of young men that we rise up and serve the Lord in spirit and truth. These men kept themselves away from the temptations, lusts, and devices of satan in order to be used as vessels for the Lord. Young man of God I want to ask you, have you really received the Bread of life? The Bread of life eradicates everything from you that is not of Him. Are you really willing to be used as a vessel by God, or do you simply just want to be like everyone else? Men of substance are anointed, and the anointing requires resistance. You must resist and overcome the works of satan. 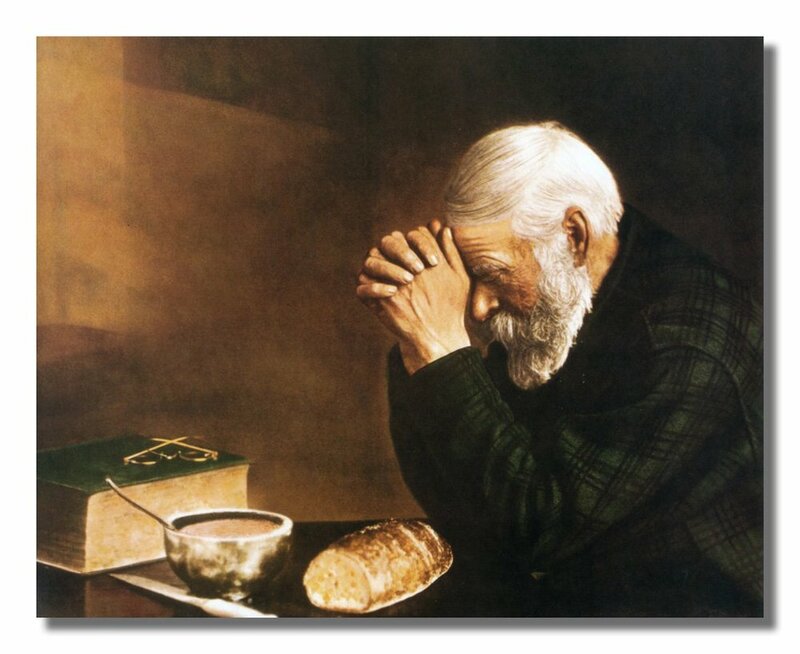 Jesus is the Bread of Life, and He is holy. To be set apart you must first let go of yourself, you must die to self and receive Him. You must desire purity, and allow the Lord to create in you a clean heart and to renew a right Spirit within you. Without purity we have no power. Repent, only when you turn away from the things that do not please God will you become the righteousness of God. Remember many are called but only few are chosen. David a young man of God was set apart, and young men followed him. Young man of God influence and empower a generation in the ways of The Lord. 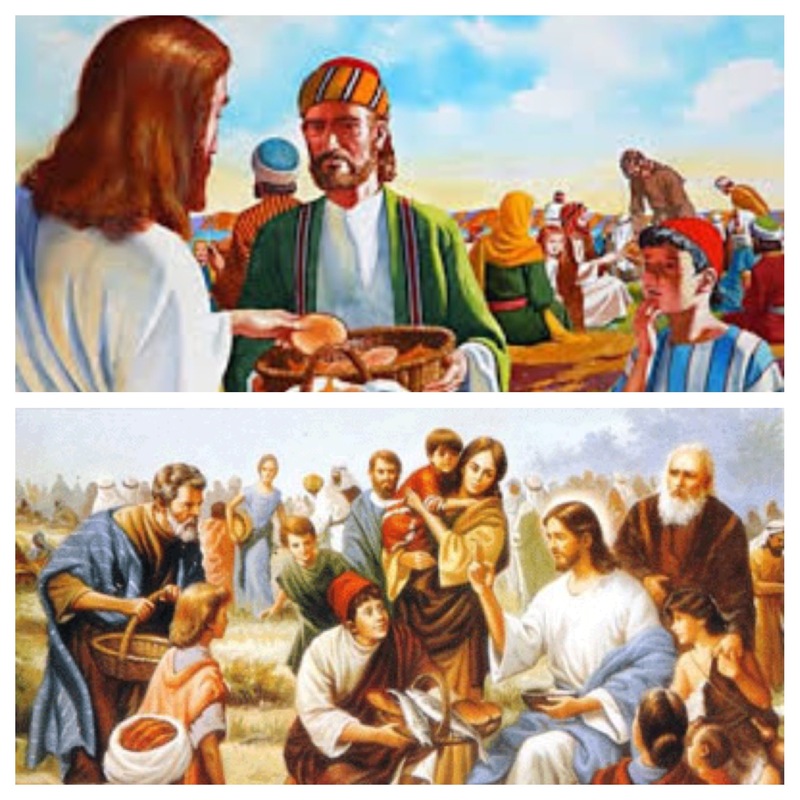 For the Priest to give David the Holy Bread, and for David to receive it was a prophetic act, also bear in mind that Jesus was a descendant of David. The Lord shall remember you, and His best shall never be kept from you. So they all ate and were filled. Now those who had eaten the loaves were about five thousand men. 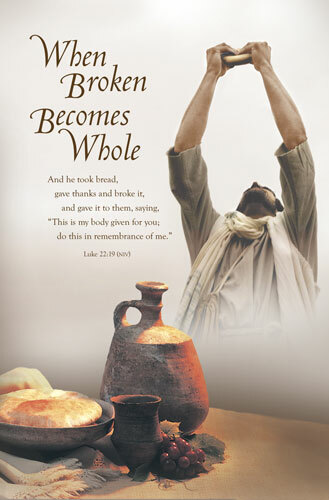 Those who eat of His Body, (The Bread of Life) will be filled with His Spirit. The twelve baskets of fish and fragments, prophetically represents the twelve disciples who were followers of Jesus, but they were divided, fragmented, and broken. 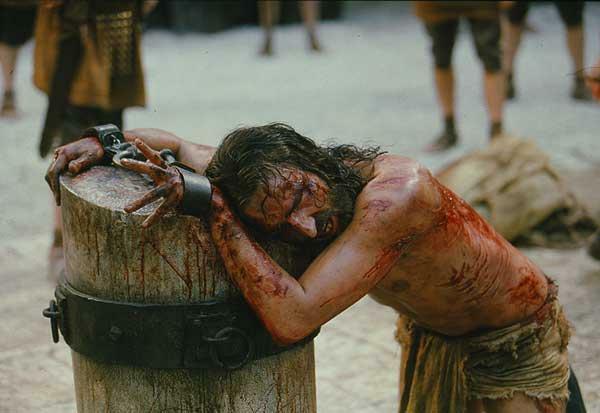 Until The Lord shed His Blood and broke His body for them, later filling them with His Spirit which united them, set them free, and made them whole. 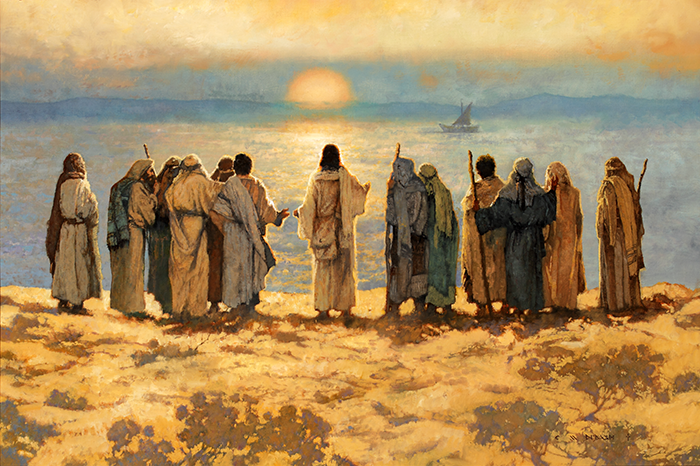 They later became fishers of men. Not only did they become fishers of men but also the church, the body of Christ which we now are. We have become one body in Christ. Thank You Lord for this deep prophetic revelation. The Word of God indeed speaks mysteries, that are unfathomable unto man. His Word is Truth, and is sharper than any two edged sword! 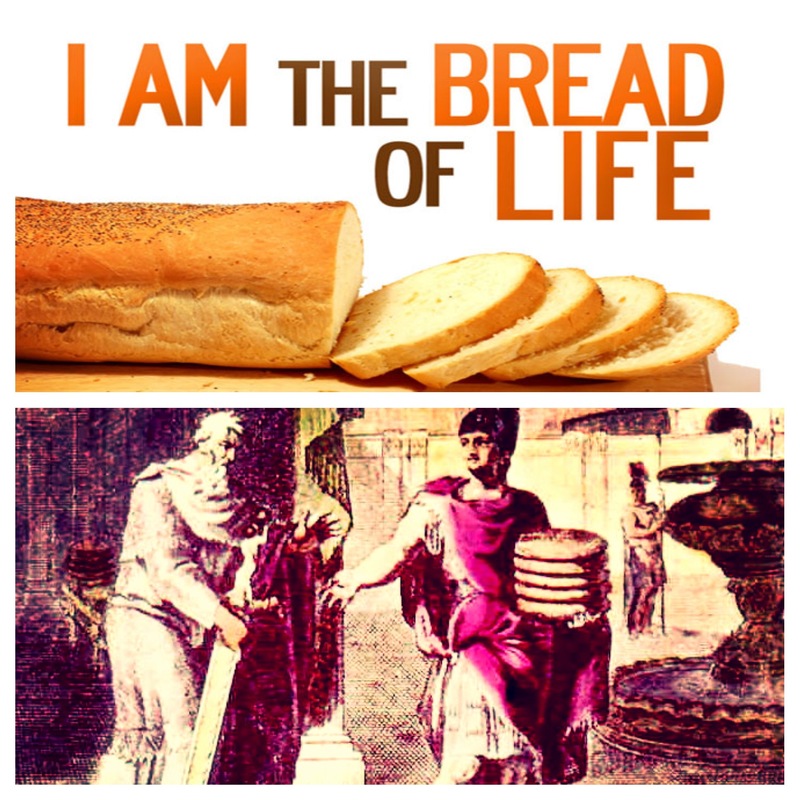 There is no one like the Bread of Life. Many things He done on earth. You are The Living Word. God with us the living Truth. These are the characteristics of a man of substance, a man of substance is a carrier of The Bread of Life. He desires holiness, purity, and Truth. He is humble, but he is a man of faith, and is more than a conqueror. He is a great leader, and influences others to also become great leaders. Most importantly, he knows who he is because He knows who His God is. Brethren, do not be afraid for the Lord is with you. The Lord shall lead and guide your steps. The Lord shall empower you for greatness, He shall empower you to do exploits. The Lord shall favour you, and equip you with wisdom. Receive Holiness, receive Power, receive the Anointing. Receive The Bread of Life.